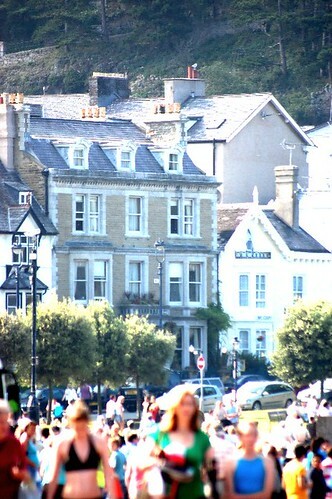 This is a photo set of Llandudno, North Wales. 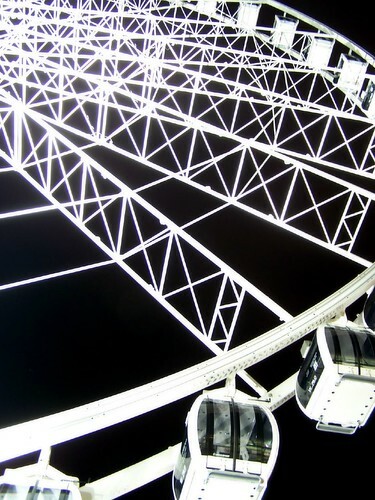 The images were captured over the past 3 years, spanning 2006 – 2008. 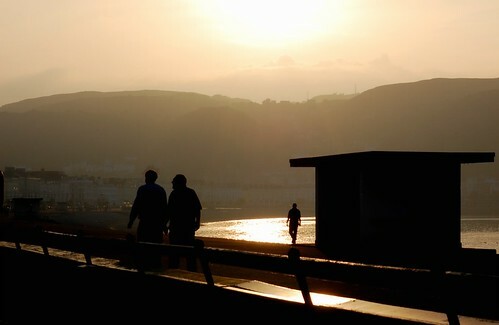 A high key image of the promenade. 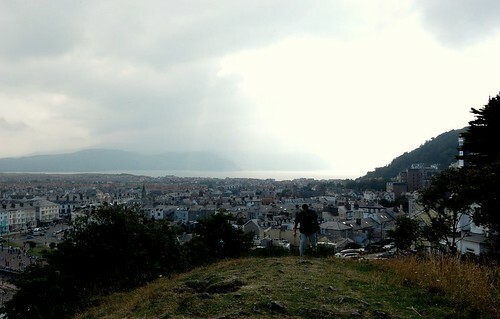 A weary traveller has scaled just one of the peaks looking over the coastal resort. 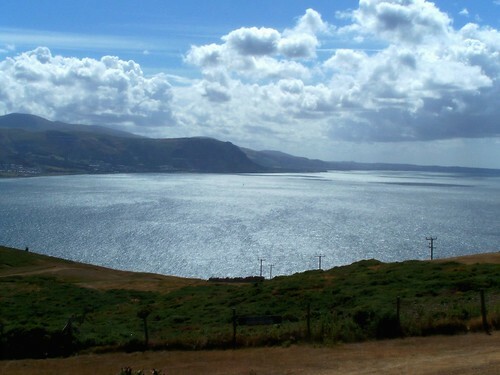 Another view from the Orme, this time looking back towards the town from severaly miles away. 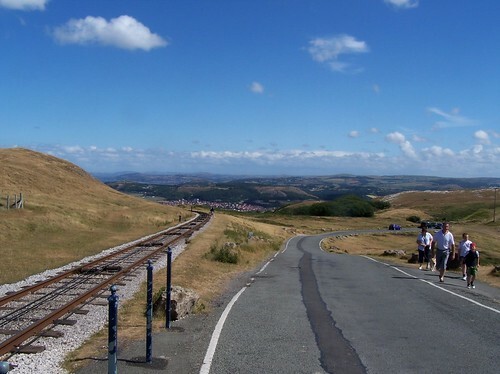 The railway on the left is one of mode of transport up the Great Orme. 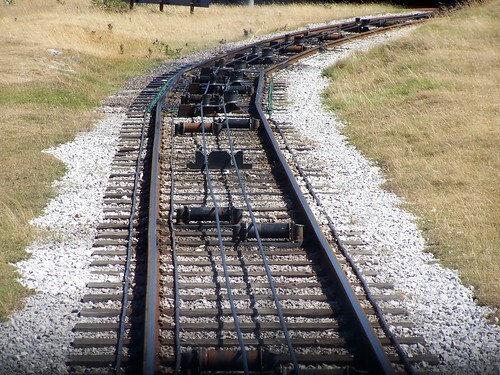 It is a cable railway system, which pulls the trains up and down, whist the road will serve as a more conventional method. A more deatled look at the railway lines. …and finaly, the engine that drives it. 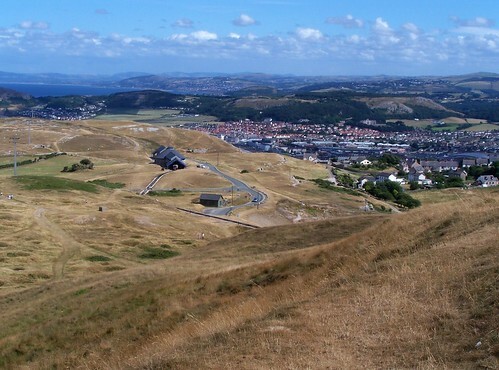 The wheel house is located half way up the Orme, and this cable systemn serves the railway. Since I first began to take up Photography seriously back in the summer of 2005, my home city of Manchester has often being my subject. It is not soley out of local pride of a strong technical interest is architecture which has driven this, but often because Iive and work here! I would and still do, take my camera out at lunch time and on the way home and take a few shots. The challenge was to find new and interesting places to capture the city from, so particularly in 2006, height was definatly my thing. This was taken on the 13th February 2006, by my Kodak Z740. 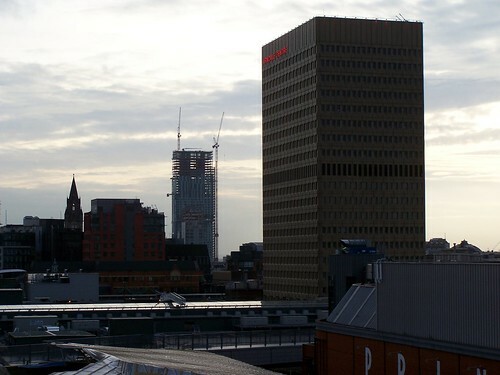 This shot captures two of the landmark towers in Manchester. The foreground being the Arndale Centre’s tower, which stands over one of Britains largest shopping centres, and in the distance, on of my favoured subjects, Beetham Tower, duing in it’s construction. 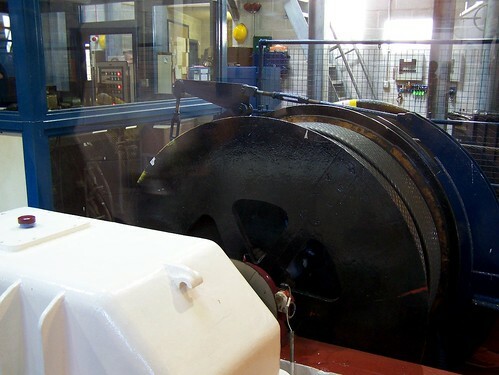 This shot, taken a few months earlier, at Christmas 2005, shows one of the wheels which has graced the city over the years. This stood, as does one today, in what is known as Exchange Square, at centrepeice of the city centre used for events. This was a lucky shot to be honest. Taken after a few drinks at about 11:00pm, again with the Kodak, the fact that is came out at all was great! This is still one of my favourites. This was taken earlier one in the afternoon of the 13th February 2006. This to me, sums up modern Manchester. 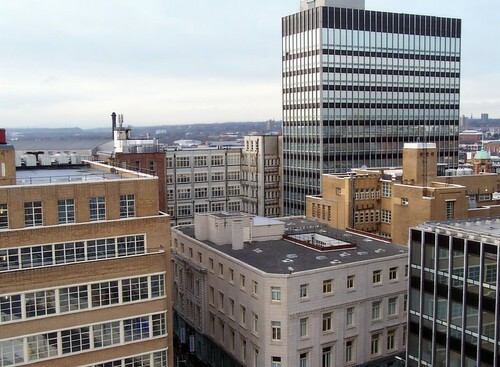 Is this reletively small area in the heart of the city, we can see various decades of architectural designs, such as the 50’s/60’s on the bottom left, and what I suspect is a late 1970’s tower in the top right. Now back a little earlier, November 2005. This shot was taken with my Vivitar compact. 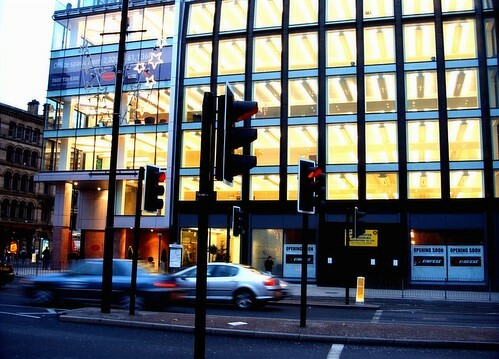 This builing, which faces the historic Piccadilly Gardens in the city centre, had just been completed at the the time and almost every floor was empty. I forget what it became, but besides offices, but the ground floor became shops; Rather expensive ones, too! And to finish with a more recent shot. This was only taken this year, 15th April, with my camera to hand, which was my trusty IPAQ rx3000. The shot obviously suffers for the low resolution, but with a small amount of ‘photoshopping’, I tried to create a more artistic image. 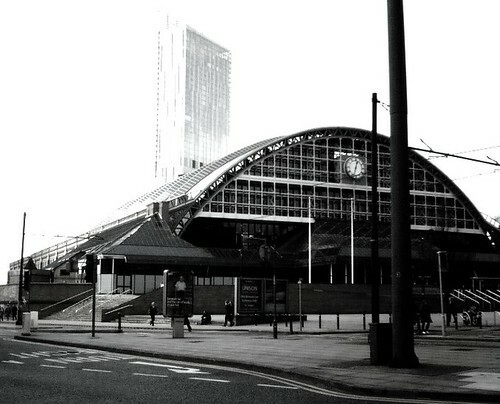 In the foreground with have the ond Manchester Central train station, which for many years now has been known as the GMEX Exhibition Centre. It has just recently, changes it’s name back to Manchester Central, though to my knowledge, no rail services are planned! In the background, the faded image of Beetham Tower is barly visable, in an attempt to highlight the changes this city has gone through over the pasted hundred years or so.